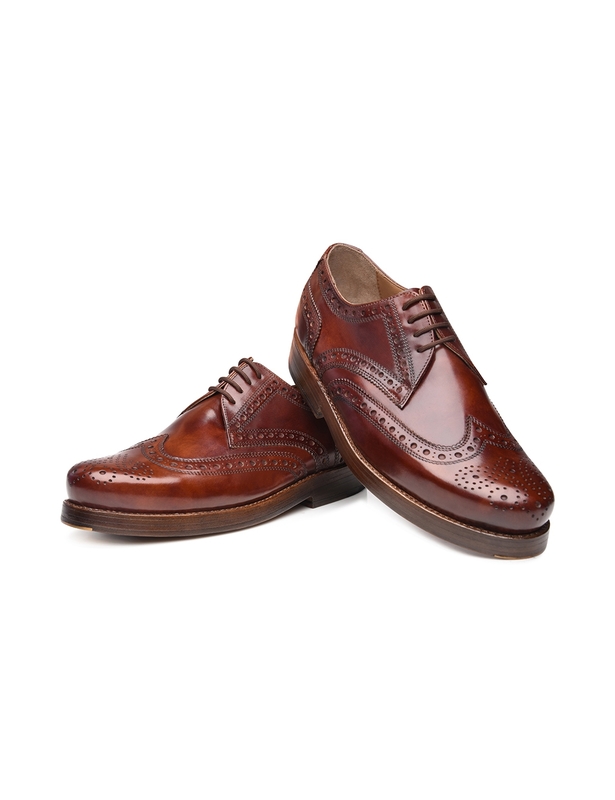 Tuscan Calf The elegant, smooth leather is particularly supple and captivates with its soft feel. 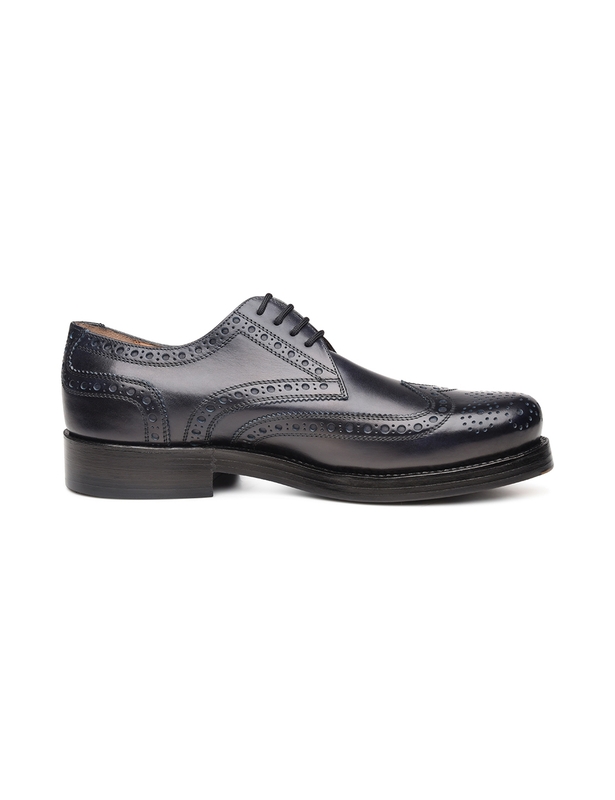 An elaborate, brushed finish gives the calfskin a 'cloudy' look. 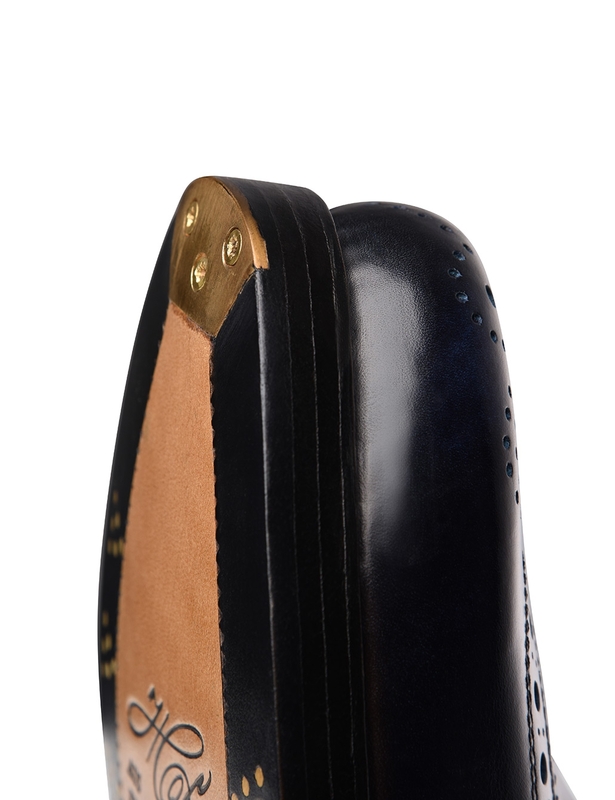 Rio Last – Width G For over 60 years, the Rio last, which boasts a rounded overall form, has served as the basis for classic budapesters — the pinnacle of stylish, handcrafted perfection. 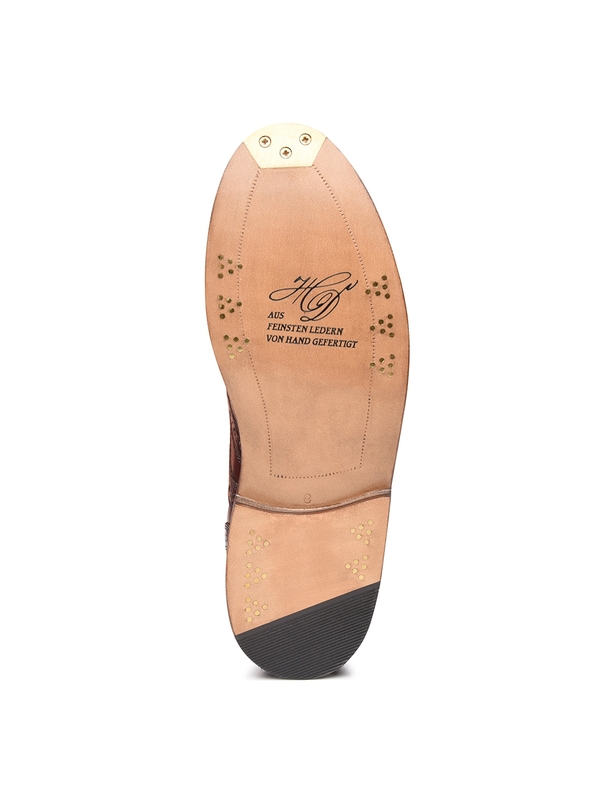 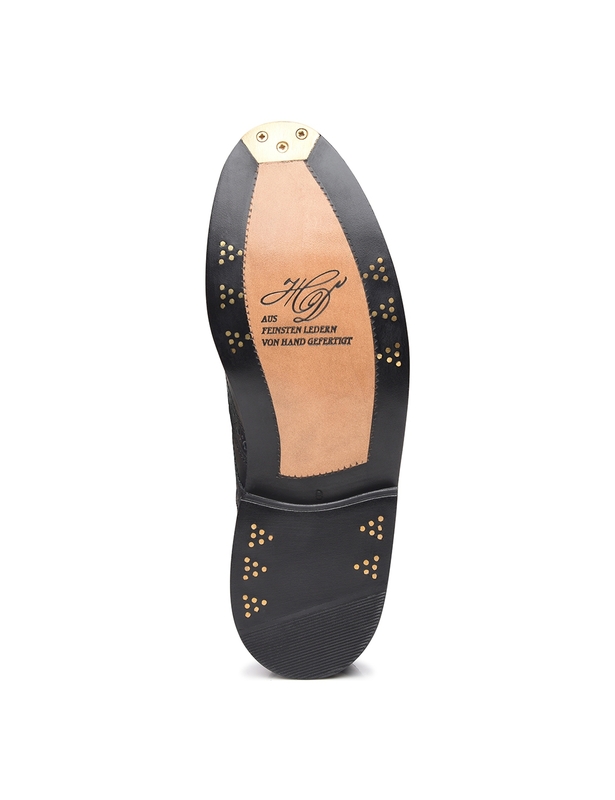 Triple Sole with Brass Tip and Set of 6 Nails Two flexible leather midsoles and a leather outsole made by the renowned Rendenbach tannery guarantee extraordinary durability — supported by a set of six nails and an inlaid brass tip. Hungarian craftsmanship meets Italian refinement - in the form of the Tuscan Calf used for the upper leather of this full-brogue Derby. 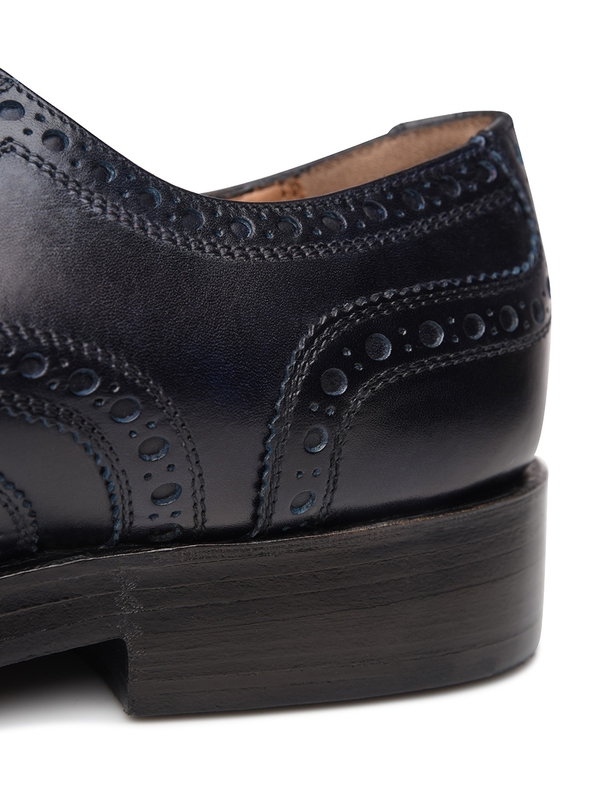 The high-quality calf leather impresses with its soft texture and exceptional softness: it is not only your feet that will be won over by its unique feel. 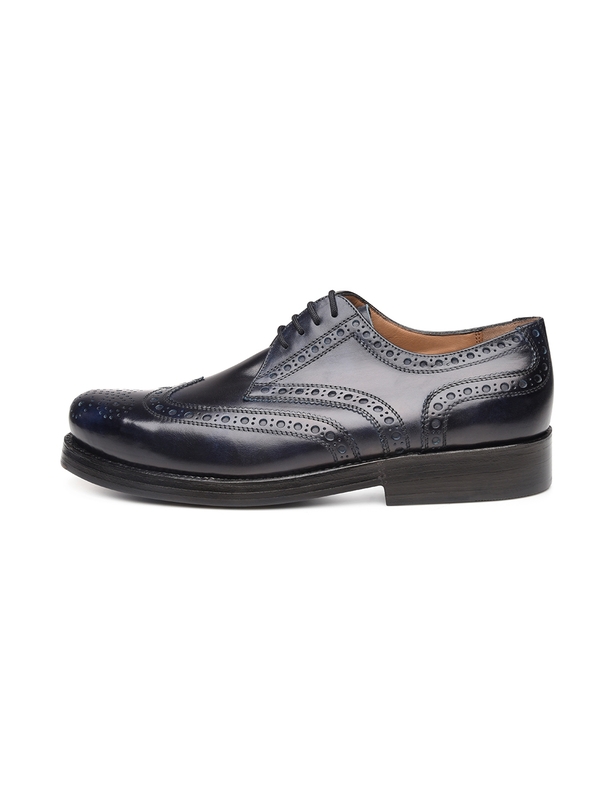 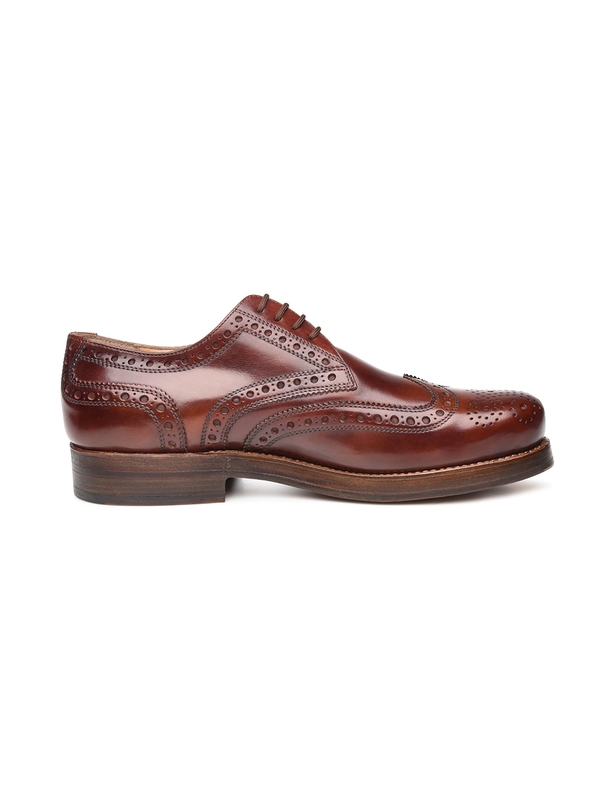 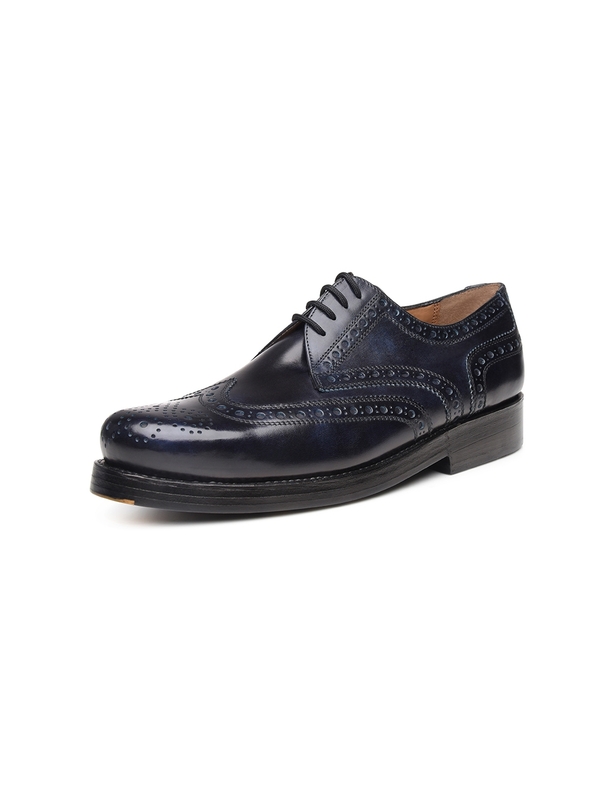 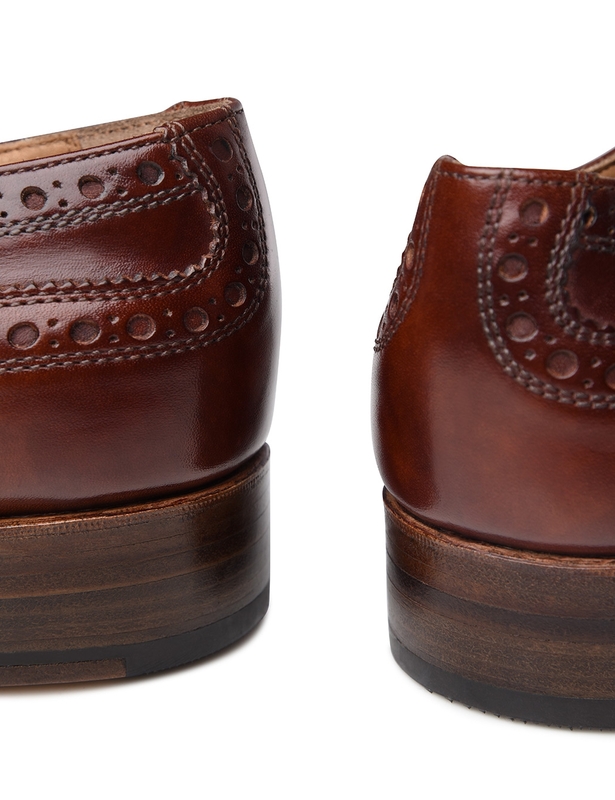 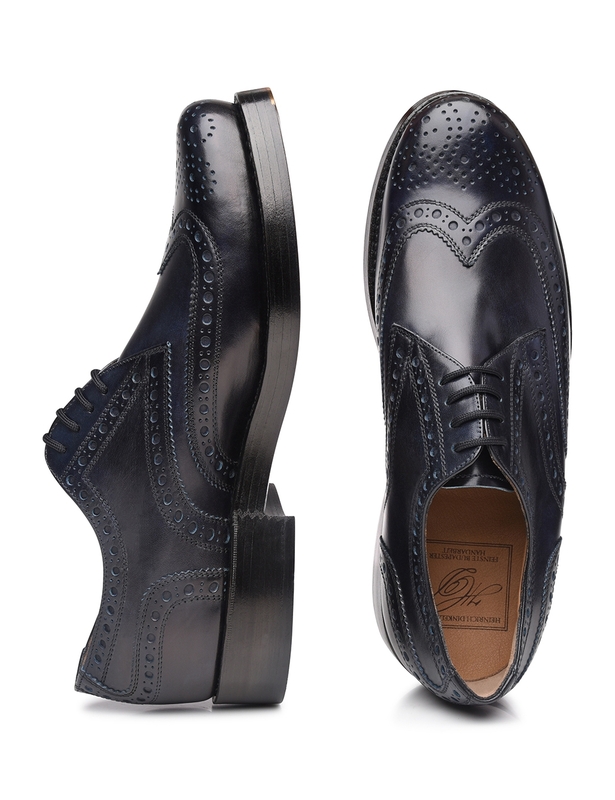 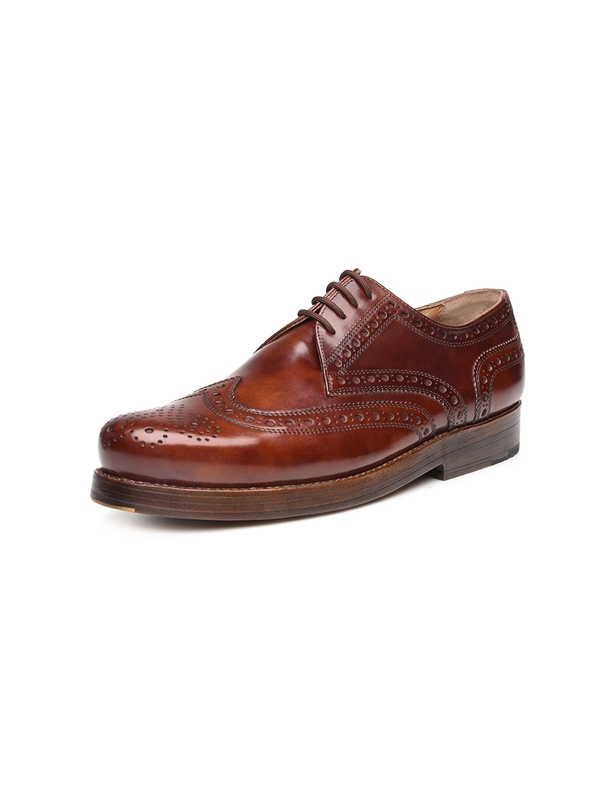 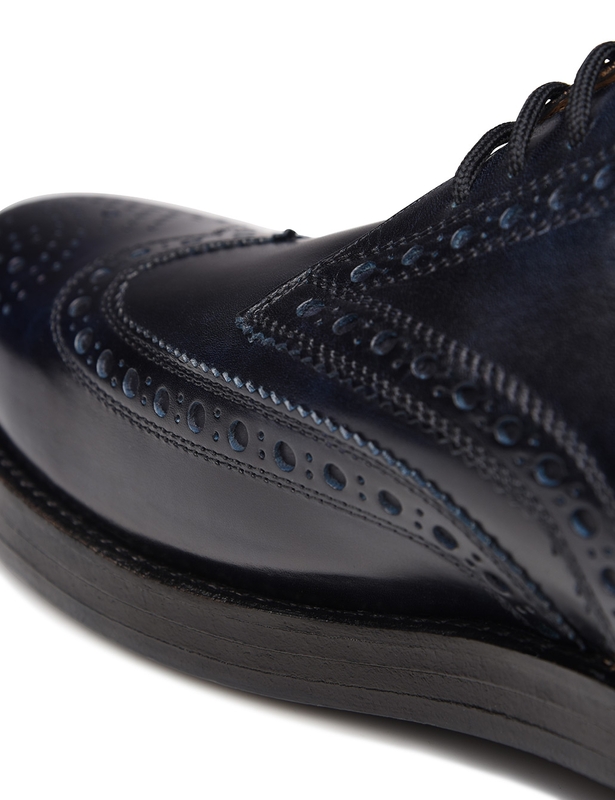 The decorative lyra perforations along the edges of the shaft and the wing and heel caps accentuate the fine appearance of this dynamic men's shoe. 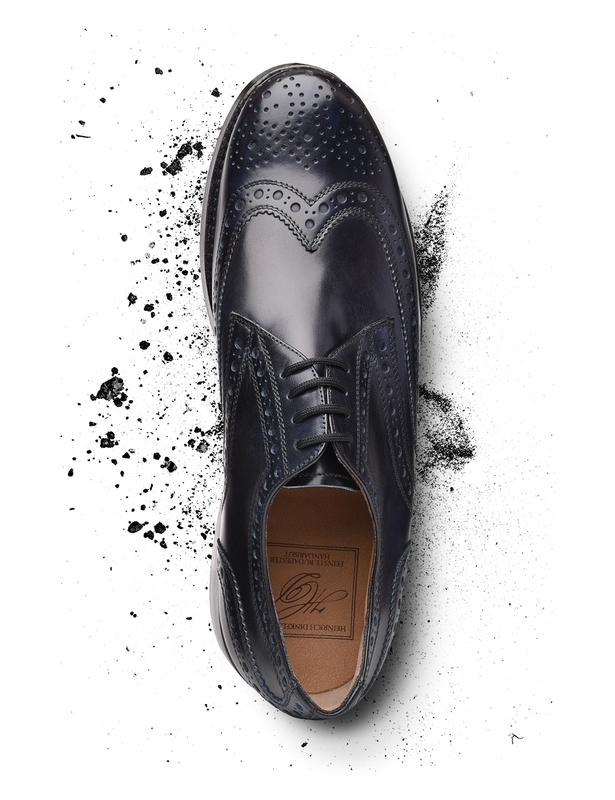 Once upon a time, the detailed pattern was used by Irish and Scottish shepherds to better dry their often soaked work shoes. 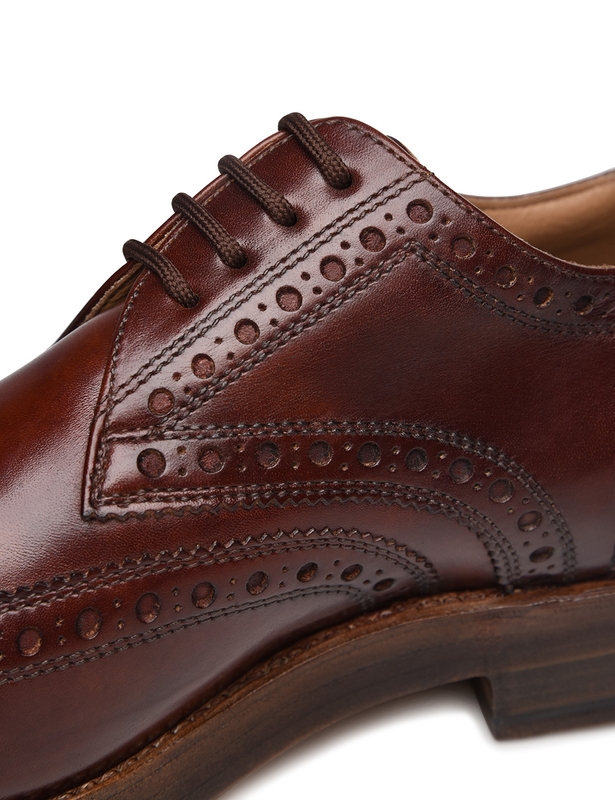 Originally extending through the entire upper, today they simply emphasize the masterly handcrafting and serve as a discreet decorative element. 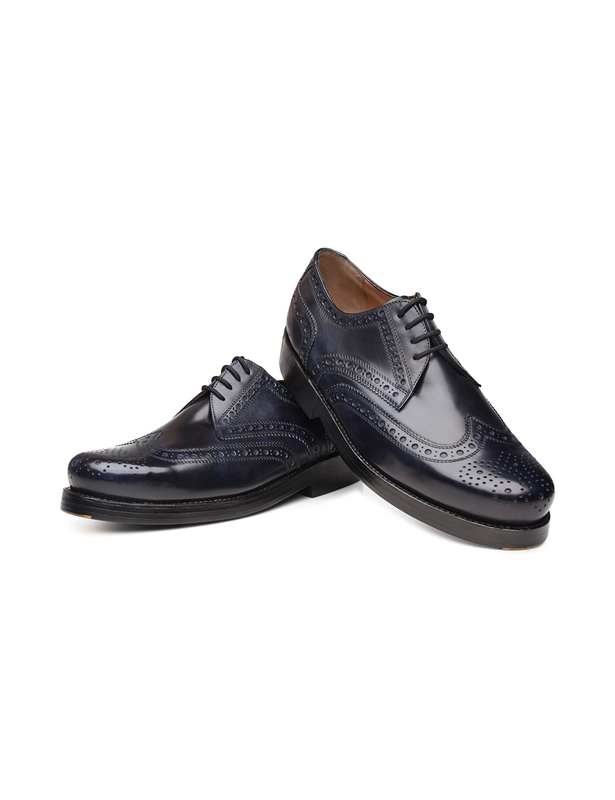 The use of the Rio last gives this popular model ample space and its elegant yet casual appearance makes it a perfect and versatile companion. 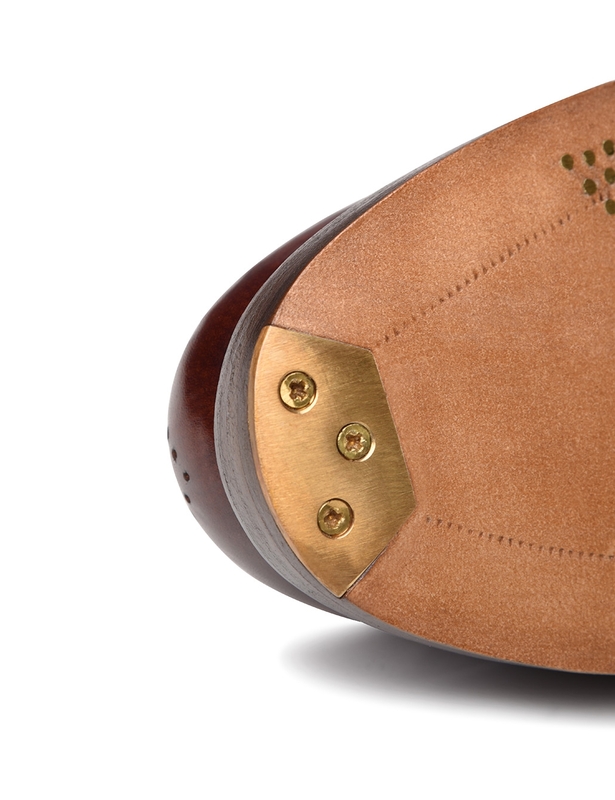 This sewn-welted classic is rounded off with an elaborate triple sole and a brass tip.